RS68 rope sizer takes a rope of candy and gradually reduces it to the desired rope diameter. The RS68 sizing roller boxes are from modular construction, allowing easy modification or future retro fitting. With the new design the roller boxes are simple and fast to dismantle for maintenance purposes. 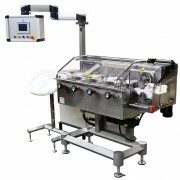 The RS68 is available with mechanical drives or fully servo driven. The RS68 have been updated with new features on the units, which have improved the access to the machines, assuring cleaning is easier and less time consuming. The RS68 sizing roller boxes are from modular construction, allowing easy modification or future retro-fitting. With the new design, the roller boxes are simple and fast to dismantle for maintenance purposes. 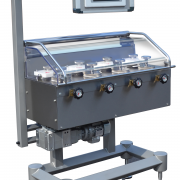 The RS68 can be supplied mechanical or servo driven. The BR46/RS68 combination can form part of a complete A.M.P Rose hard candy forming line, or be arranged as part of a line with the ‘750’, ‘ICW’ and ‘Super 42HS’ range of cut and wrap machines. The machines can be supplied in left-to-right or right-to-left configurations, with the feed and discharge heights to suit the Client’s requirements. Adjustable feet are fitted to both machines for minor height adjustments and levelling. 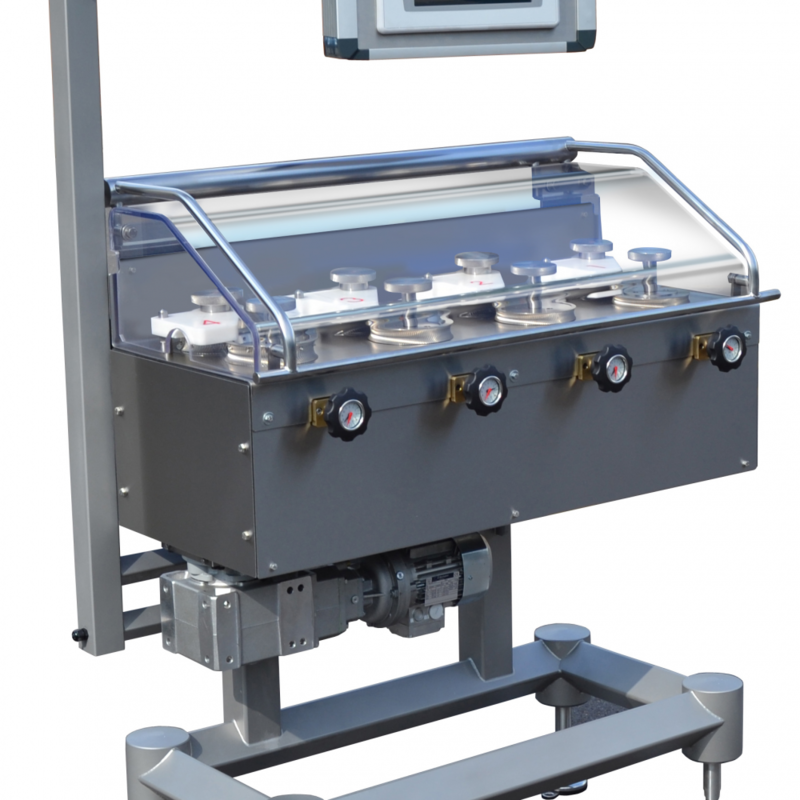 The Rope Sizer can also be supplied as separate machine for use in any other confectionery application. The machines have been designed to last many years in the confectionery production environment. With precision machined components made to exacting standards the user can expect years of trouble-free use with minimal spare parts requirements. All electrical components are located in sealed enclosures with hinged doors for access. Interlocked guards are fitted, giving protection to the operator from noise and movement hazards. All machines meet current health and safety and ‘CE’ standards. The machines have been designed using open framed stainless steel construction. Improved hygiene and access for cleaning has been considered to reduce running costs. 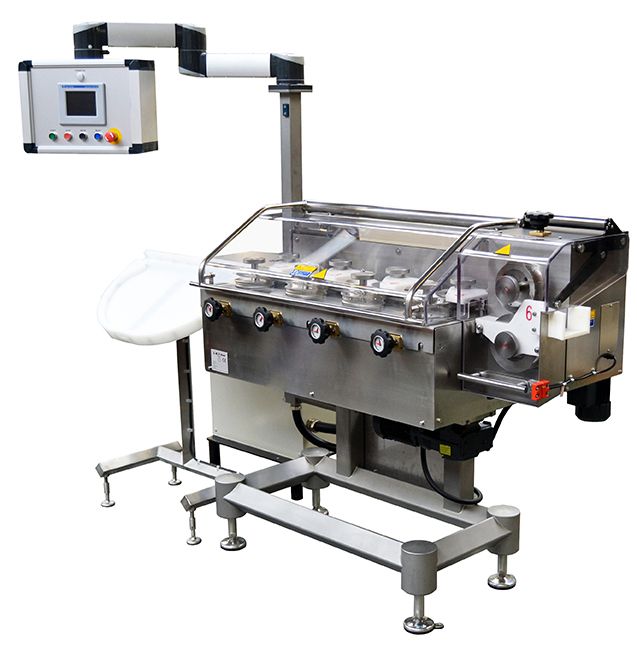 The RS68 range of machines can handle many types of confectionery products without the need to change any parts – hard candy, toffee, chewy sweets in solid or centre-filled form can all be used to feed either cut&wrap or candy forming lines.